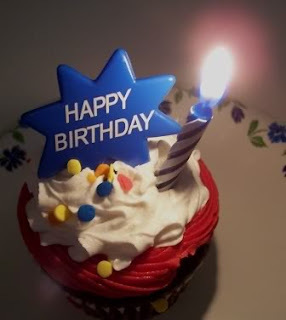 Maude's Avenue of Thoughts: Hey blog, it's your birthday! This will be a really quick post because I'm really busy with work today. Happy birthday, Maude's Avenue of Thoughts! It's just like yesterday I was asking my office seatmate what I'm gonna name my blog and now, I've been sharing snippets of my life for a year! To the people who's been a fan since day one (hello girlfriends! ), to those who appreciate my craft, to those who take time to comment, to those whose writing make me feel that I am a lousy blogger but inspire me to be a better one, to everyone who passed-by and continually does, a biiiiiiiiiig thank you to all of you. Wow! Congratulations and Happy Birthday!!! I hope you get to enjoy more blogging years!